We begin with this simple fact: the human ear is designed to hear the human voice. Recreating the subtle timbre and modulation of each word, spoken or sung, creates the greatest challenge for speaker engineers – our ears are very hard to deceive. 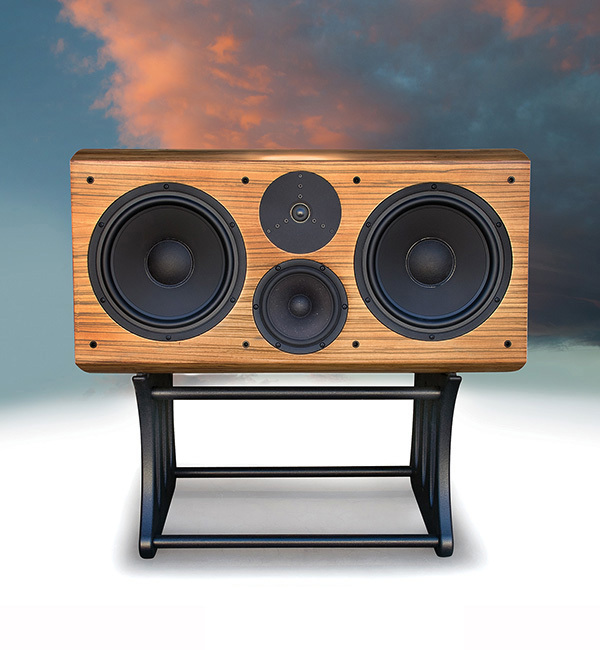 PBN has now answered that challenge, and has released a center channel speaker literally without precedent. The Hadley CC integrates the same the drivers found in our Hadley loudspeaker – two 10” aluminum cone woofers, tuned at 23 Hz; a proprietary 6” Egyptian Papyrus reed cone midrange driver; and the legendary Dynaudio T330D Esotar tweeter. Such robust and finely calibrated components are unheard of in center channels, which are often little more than fill-in sound for the voice track in surround sound systems. This is evident even in the best movie theaters, where dialogue is too often swamped with extra-heavy bass and other electronic distortion. PBN recognizes that in film soundtracks and music recordings the voice should be at the center – articulate, nuanced, and in dimensional balance with other sound elements.